Hello! 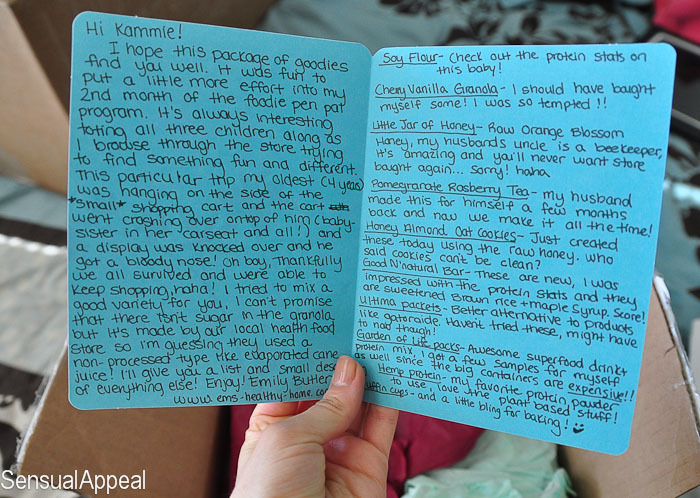 Today is finally the day I get to share with you guys what awesome things I got in this month’s Foodie Pen Pals exchange! Wow, I’ll begin by saying that if you participate, you will love it (most likely) and if you get Em as your pen pal consider yourself lucky! I was actually thinking about not participating next month but then I received her package and I changed my mind instantly. Her package was so perfect, it nailed me to the tee, and it got me super excited for this once again! Yay! Emily truly took her time in figuring out the type of stuff I would most appreciate and it shows! I was so happy, I feel as if I have hit the jackpot. Everything in the package got me happy and excited and curious! First off, Em wrote a funny little note about her adventure in the stores and how her oldest son crashed the shopping cart with the baby in it and all and a display fell on them giving him a bloody nose! Oh no, I felt so bad! Thankfully the kids are okay and it seems like there haven’t been any negative or worrying posts on her blog so I’m going to assume nothing terribly bad happened to them 😛 at least it was eventful though, eh? She also included a breakdown of all of the things included in the package with her notes about the items. First off, cupcake liners! Super cute and pink, you can’t ever get enough of these babies if you love to bake (like I have obviously been doing 🙂 Then we’ve got Perfect Food Raw organic green super food drink supplement with chocolate cacao flavor. I have read about these recently and I was curious about them so it’s almost like she’s a mind reader for getting me this packet to try out (I didn’t even post about this on my blog!). Then there’s Beyond Organic Raw Vegan Protein Powder. You already know I use protein powder like it’s my job so I can’t ever get enough. 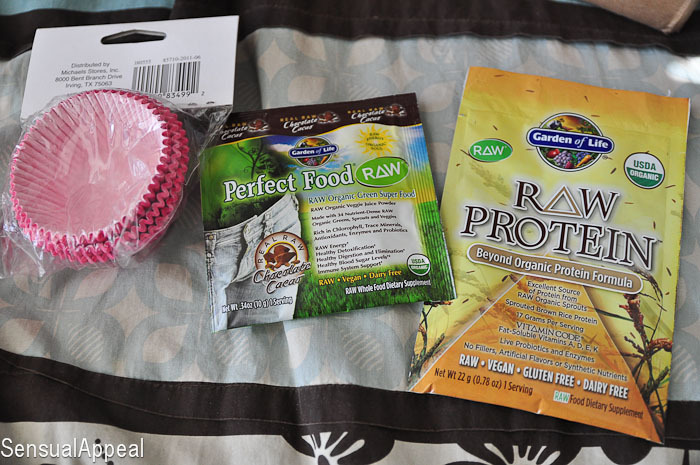 I have never used any plant-based protein powders either and I have been very curious about them. Again, Em, great job you little mind-reader, you! Continuing with the protein fun, I will finally get to try hemp protein powder thanks to Em which is another thing I have been researching and eyeing lately! 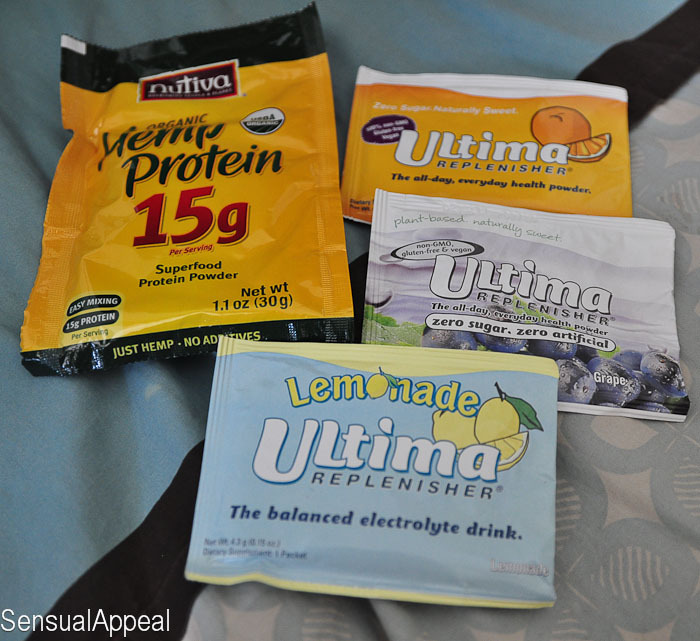 She also included some zero calorie electrolyte-replenisher drink packets sweetened with Stevia. How awesome are these guys? 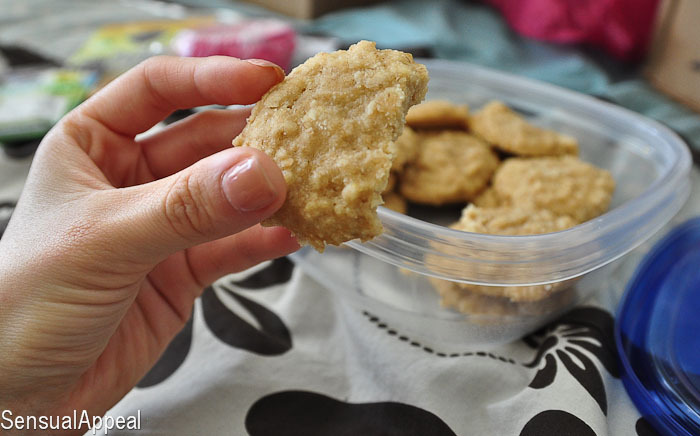 Plant-based and healthy, unlike those nasty artificial Gatorade drinks (eek!). 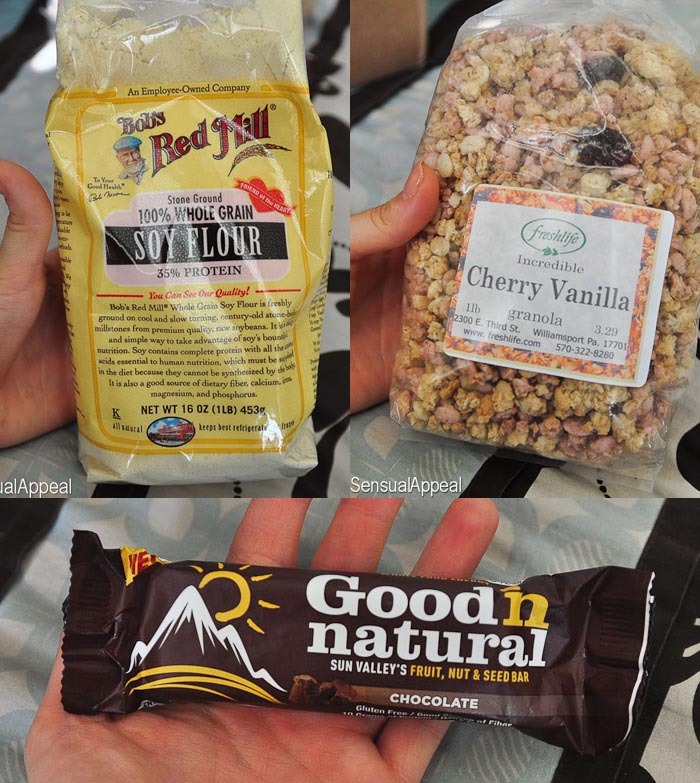 Then she got me some 100% whole grain Soy Flour (I have become obsessed with different kinds of flours, sigh), some amazing and delicious cherry vanilla granola and a Good n’Natural bar which is huge and had some awesome stats on it! 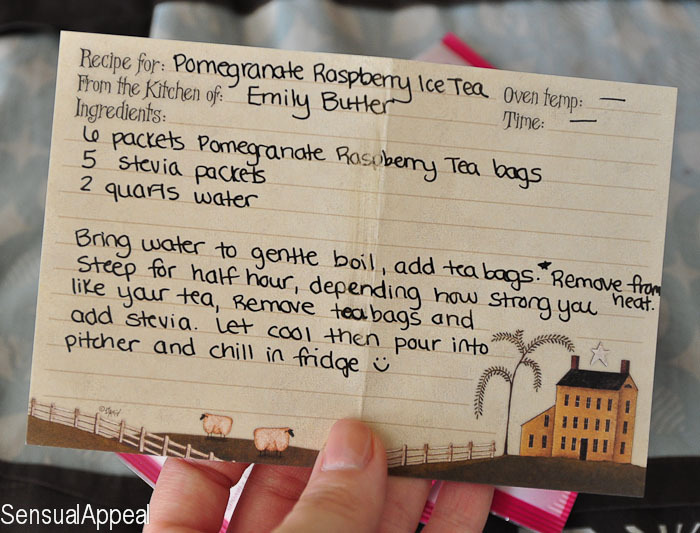 She also included a recipe for a pomegranate raspberry Iced tea that her husband has been enjoying a lot this summer along with all of the ingredients necessary to make it. I missed the Foodie Penpal this month because of work. I can’t wait to join in August!! You got some great goodies! 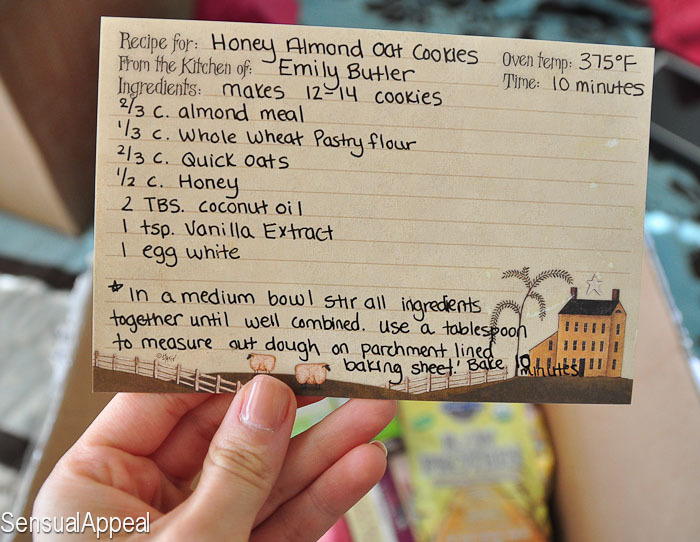 I want to try the granola! Yum!! that tea sounds amazing!!! 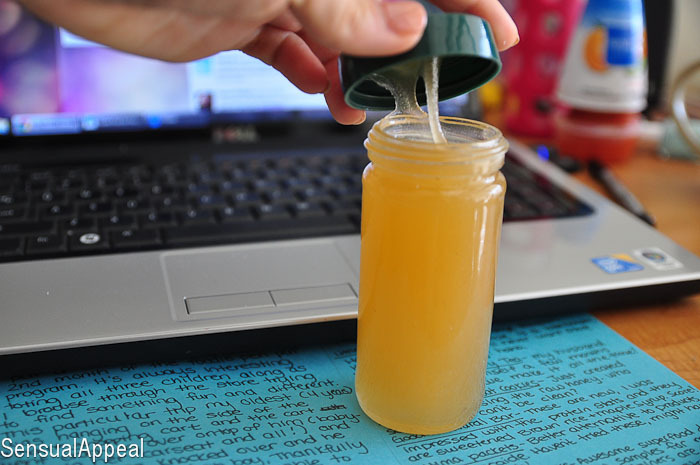 and love the honey!! 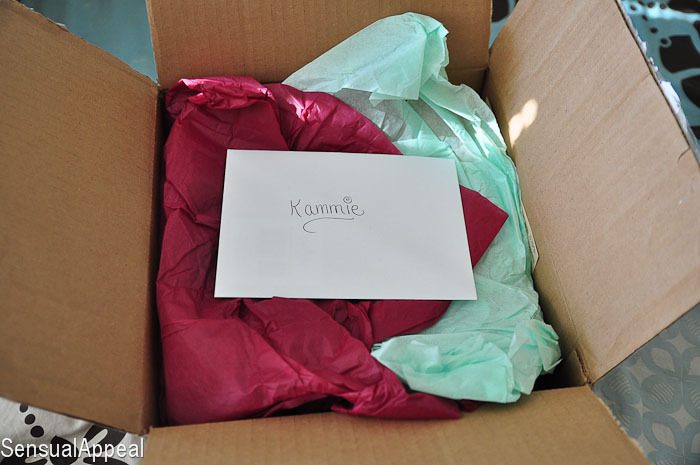 Wow, what a fantastic package, Kammie. I didn’t know you took part too.